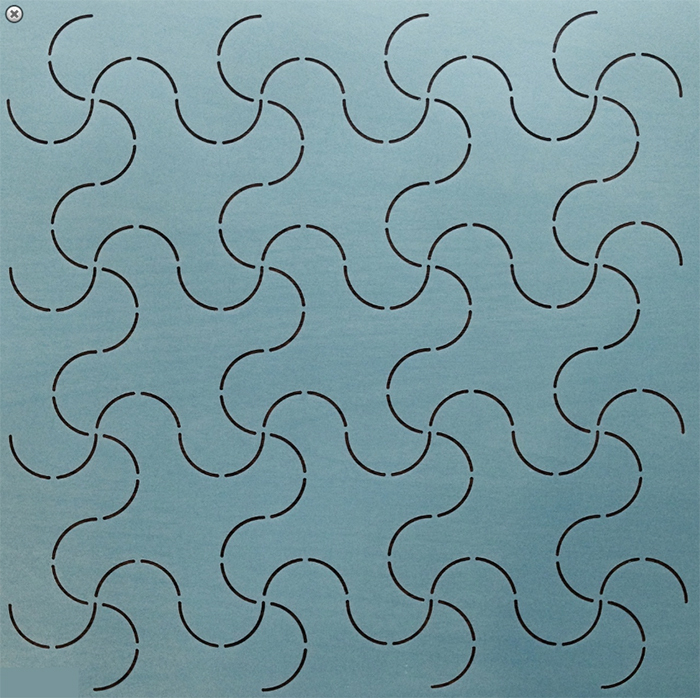 This is a popular sashiko/quilting stencil design to transfer to your fabric or quilt. Lay the stencil on top of your fabric and trace the design using a washable ink pen. 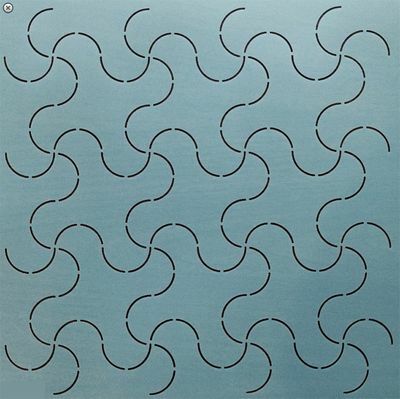 If you are looking for a quick and easy way to make a sashiko stitched design, try using stencils. Make sure that the stencil is placed on the straight of grain of the fabric (in other words, up and down with the threads in the fabric, NOT diagonal). Once you trace the design onto the fabric, you are ready to stitch. Where there are gaps caused by the stencil “bridges”, stitch as if your drawn lines are continuous. You can use two different stencils on one piece of fabric to make a custom design. Stencil is made of translucent plastic and can be used over and over again. 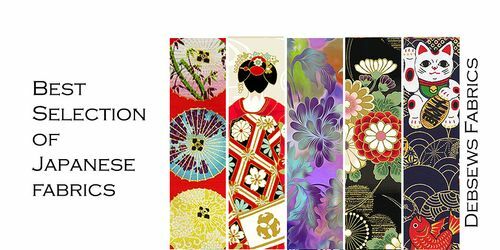 This stencil is a popular traditional Japanese design. So easy to use! Save yourself hours of tedious tracing and stress.